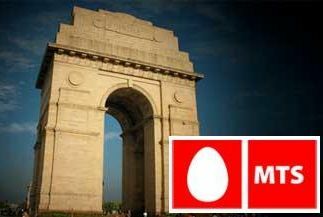 MTS India, the CDMA mobile service of Sistema Shyam Tele Services Limited (SSTL) will provide free access to all vehicles on the Delhi-Noida DND Flyway and Delhi-Gurgaon Expressway on October 9th to mark the launch of its mobile services and super-fast data services in Delhi and NCR. Delhi-Noida DND Flyway and Delhi-Gurgaon Expressway will not charge vehicles any money between 9:00- 11:00am and 5:00-8.00p.m on October 9. This will be applicable both ways, that is, for vehicles moving into and out of Delhi. four other circles this year. MTS was recently honored as the most successful new telecom operator in India. MTS India is also the first mobile brand in the world to have announced adoption of the latest, future-ready CDMA 1X Advanced technology, that will enable best-in-class and simultaneous voice and high speed broadband data services.